As I promised yesterday, today I bring you the latest silliness from iUniverse. You’re actually very lucky, because I have not one, but two bits of silliness to share with you today. Ready? This one is probably a clerical error, but it’s a very silly, uniquely iUniverse error. 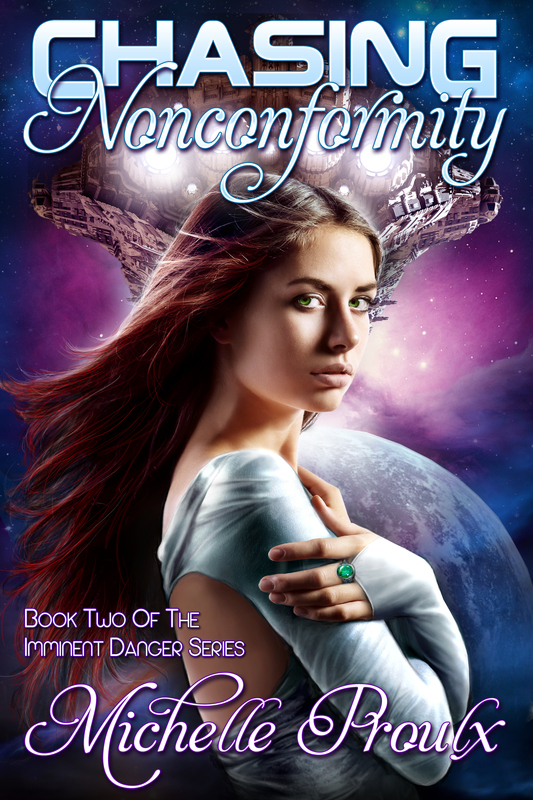 Imminent Danger is a YA sci-fi book. That’s not a particularly difficult genre to remember, right? And yet, the vast majority of online retailers do not have it listed as YA sci-fi. It’s either children’s lit, or fantasy, or … God, I don’t even know. This is a direct result of iUniverse mis-reporting the genre when they initially sent out my book back in January. As I find these incorrect genres, I send iUniverse a note asking them to fix it. And they’re happy to do it … with a 6-8 week processing time for the changes to take effect. Really? 6-8 weeks? I’m fairly confident that if I had direct control over my book, I could just pop onto the Amazon site, change the genre setting, and have it resolved within ten minutes. So silliness #1 is iUniverse failing to submit my book under the correct genre, and then taking forever and a day to fix it. Sigh. Update March 4, 2013: I just got a call from iUniverse, asking if my genre classification issue had been resolved. I explained the situation, and the lady was very helpful. She said that she would look into the problem and make sure that all the retailers have the correct genre information. So yay to iUniverse for following through! I wanted about 50 hardcover to start off with. 50 hardcover, as you can see, works out to $20.77 per unit. Bear with me. Chapters.Indigo.ca recently put out a 10% discount coupon for their site. The hardcover of Imminent Danger is listed at $23.72 — $22.53 with my member discount card. ((Note that the book cover is still not shown on this site — this will also take 6-8 weeks for iUniverse to “fix”)). Now, I get approximately $3 per hardcover sold in royalties. So. 50 books from iUniverse at $20.77 + shipping = $1181.19. 50 books from Chapters.Indigo.ca at $22.53 (plus 10% discount), minus ~150 for royalties I’ll get back, plus free shipping, plus tax = ~$995 (give or take). That’s about $200 in savings by ordering books from Chapters.Indigo.ca instead of the company that’s producing the darn things. Plus there’s the weird side effect that those sales will actually count towards Imminent Danger’s sales ranking on Chapters.Indigo.ca. Not what I intended, but … I guess a higher ranking isn’t something to complain about, right? Now, to be fair, I did contact iUniverse to see if my calculations were correct, because I couldn’t believe that such a thing would be possible. The very nice gentleman I spoke with ran through the calculations with me, and concluded that, yes, it would be cheaper to buy them from a third-party source. He offered to give me a slightly higher discount, but with the cost of shipping, Chapters.Indigo.ca still worked out as being cheaper. The only reason I can think they wouldn’t bend over backward to convince authors to buy directly from them is if they make the same amount of money off each book regardless of where the book is bought from. That seems like a strange business plan to me — buying direct from the source should always be cheaper, shouldn’t it? And it is cheaper if, as you’ll see in the above chart, you buy 250+ books. But who has that kind of money? I certainly don’t. iUniverse continues to be delightfully silly. I’m not too miffed with them, because I don’t think the incorrectly filed genre is going to hurt me too much over the next few weeks (hopefully), and I did find a way around their bizarre pricing scheme. I’ve actually started to really enjoy seeing what silliness they come up with next. The next step in fulfilling my contract is getting my book into a local Chapters store for 8 weeks. I’m sure there’ll be lots of silliness involved with that. Stay tuned! Get ready for the crazy. In Japan, there is a pop star named Hatsune Miku who is entirely computer generated — voice, appearance, everything. And she’s insanely popular. Here’s the wikipedia page on her. Here’s a video of her live, in concert … despite her not actually being alive. I believe holograms are involved. iUniverse makes money off the authors, not the books. It’s sad but true. I can probably point you in the direction of some good cover designers/editors if you ever want to self-publish. I will probably be taking you up on that in about … 8 months? I should be finished my endless revisions on the sequel by then, lol. I would actually LOVE some suggestions for cover designers/editors myself. x) I’m working on my own self-publishing feat at the moment, and having more choices is never a bad thing! Sorry it’s taken forever for me to get back to you, but hit me up at Antoinette.Emdash(at)gmail.com and I’ll try and point you in the right direction. I have sent myself an email reminding myself to send you an email about this when I get nearer to the cover design stage. I predict great success. This is who I had do my cover design for The Vampire’s Gallery. She’s less familiar with your genre, but at the very least she might be able to point you in the right direction. The reason why it takes 6-8 weeks is probably not because it takes iUniverse that long to change the setting, but because it can take that long to trickle down to the independent retailers. I’ve heard of price changes at Smashwords taking that long to trickle down to all of the book distributors. Smashwords doesn’t have any control over when they update their website listings, and that’s probably true with iUniverse and the people they sell to: it may take individual retailers a while to move your book into the proper category on their own website. 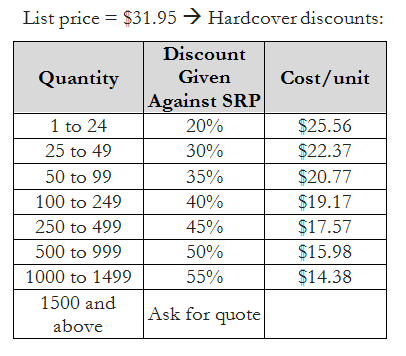 I don’t offer a hardback book, so I can’t compare those prices, but do you know what you’re paying for your paperback? I pay between $6-$7, plus S&H for a CreateSpace paperback, and that’s before any bulk discounts. As for the paperback … buying 50 copies from iUniverse costs me $13.17 per unit. And yes, I’m aware that’s a lot. One of the reasons I will not be publishing with them again, lol. Interesting post, thank you so much for sharing Michelle. I contacted iUniverse and saw their price ranges. It seems reasonable, but I am still a little leery of them. Something makes me worried about signing on with them. Is it possible to publish your own books with blurb.com? Or do the skus and ISBNS get all messed up when this happens. Is it the informational aspect of iuniverse inputting subject headings, etc, metadata, onto the internet that makes it worth going with them? I’m afraid I don’t know anything about blurb.com, so I can’t comment on that. The main reason I went with iUniverse is because I didn’t know anything about self-publishing, and they do everything for you — they set up all the descriptions, metadata, they send the book out to all the online retailers for you, they format it, design the cover, keep track of royalties, etc. I learned a lot through working with them, definitely. However, I will be doing the publishing myself from now on, as I feel that downsides outweigh the upsides. My trade paperback on CreateSpace lists for $9.99. I can buy copies for about $4.50, starting a quantity of 1. 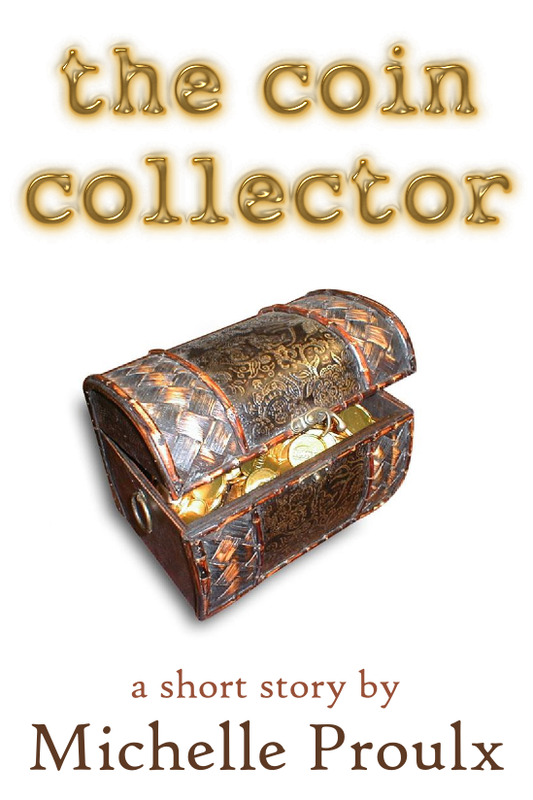 I can change anything about it–price, genre, description, photo, and have the info updated inside a few hours. My out of pocket costs to set up the POD were $0.00. I would strongly advise you to pull your book from iUniverse, and if you can’t, at least go with a different POD for your next one. You’re being [vulgar term redacted]. Yeah, I’ve come to realize over the last 8 or so months that iUniverse is not the cheapest or easiest way to go. Ah well. I’m not going to pull my book from iUniverse for several reasons. 1. I’ve already paid them vast quantities of money, and I want to at least try and get my money’s worth before giving up on them. 2. Part of the publishing package I bought involves getting my book into a physical bookstore, which hasn’t happened yet due to all the cover issues I’ve been happening, so I definitely want to see that through. 3. iUniverse claims that they’ll pitch your book to agents, at trade shows, etc., so if that’s true, I don’t want to miss out. And it won’t cost me more than I’ve already paid for them to do that, so backing out now won’t serve much purpose. I went through iUniverse for my book years ago and it didn’t go well. Their pricing made it that my friends and family didn’t even buy it. I’m not saying they’re bad, but they simply weren’t for me. I couldn’t afford or do any of the marketing stuff, so a good amount was on my head I guess. I hope you have better luck in the long run. Yeah, their pricing really is through the roof. Sorry to hear about your bad experience 😦 I expect that at some point in the future, probably when I’m a rich and famous author and everyone wants to either date me or be me (ha! like that’s going to happen), I’ll pull my book from iUniverse and sell it to Harper Collins for billions of dollars. Until then, though, iUniverse it is, lol. I should warn you that even if you break the contract with iUniverse, it will stay up on Amazon. Apparently, Amazon can’t take the sale page down even if the book is no longer in print. I ran into that problem yesterday when my book debuted. It’s not iUniverse’s fault. It’s because ‘somebody’ might try to sell an old copy through the site. No kidding! That’s a weird rule. I mean, I guess it makes sense, but … that could definitely prove troublesome. Hmm … Have you worked out a way around it, by any chance? I found out two days ago that the book can’t be ordered, which is a help. To dissuade people from buying, I changed the book description to say that the book is no longer in print and to look for the more updated e-book copy. I didn’t have the other book published at the time, but I believe you could do it. I’m actually not even sure how I got into the old version’s profile the first time. Hahaha isn’t it awesome when you do something and then can’t remember how? Story of my life. xD Good point, although I do enjoy a good righteous anger sometimes. 😛 Maybe that’s just me. And LOL, the Beatles! Love those guys. All I can say is, at least you’re maintaining your sense of humor! I’d be a raging lunatic by now. Of course, I sometimes go from calm to raging faster than a cheetah on speed, but, well . . . yeah. I think my BP would definitely have spiked on that one!! Depending on what sort of action you have going on in the second book, you can enlist a friend to pose with you, take a picture, and then I can turn it into a silhouette, like the one you have on the current cover. Then you can boast you’re on the front cover of your book, lol. Ha, I like that! I was definitely planning on keeping with the same theme for the sequel cover. I was actually toying with the idea of designing it myself, but I’ll have to consider my options now that you’ve, you know, given me more options 😀 I think I’ll focus on getting an actual manuscript first, though, before worrying about my cover design! Oh my jeez, that’s ridiculous!!! I can’t believe how much of a headache your going through with them. I used CreateSpace, and so far so good. But I still have a few more steps to go through before my book is up for sale, so we’ll see. Ha, yeah, it’s been quite the experience. Luckily the book is totally published now, so I now all my woes are post-publishing related. It was very nerve-wracking, wondering if they were going to screw up my book and trying to figure out how to stop it from happening. But it all worked out! The book is solid — now I just need to get through the marketing / publicity without iUniverse doing anything … silly. Ha ha! That’s hilarious. Buying a book cheaper from someone other than the mob who made them. Every time you talk about iUniverse I think I must not use them. Ever. Unrelated funny story along vaguely similar lines: I once had to pay tax. I mean I always have to pay tax but this particular year I’d underpaid and owed them $14. Which I promptly forgot to do. Deadline day came and this sleeping memory of having to pay tax started waking in the back of my mind. Long story short(er) I paid it late in between receiving two reminder notices with increasingly threatening words. Finally a thank you letter acknowledging receipt of late tax however stating that because it was late I owed a “late fee” of 10 cents and “additional taxes” of 10 cents. (Their, total postage costs at this stage = $1.35) I always learnt that 10 + 10 = 20 but they insisted that the total amount due was NIL. So they were now down $1.55 and didn’t seem to care. I’m sure if the original outstanding tax had been 20 cents they would have taken me to court over it! That is absolutely bizarre. Why would they send you a letter demanding a late fee and then not actually demand it? We live in a strange world, my friend. A strange world indeed. Good luck with everything. Sounds like a challenge. Thanks 🙂 It’s been … interesting, lol. I’m hoping things will smooth out once iUniverse has sorted everything out, and all they have to do is sell the book and give me royalties. Oh, dear… we see this quite often at the bookstore, when authors can’t afford to have a signing or sell their books on consignment. It’s the vanity press way – yes, they make money off their authors. Really yanks my chain, too. This has been the burr under my saddle since I first published my book. It seems the only person not making money is the one that created the book to begin with. Most stores I have contacted about consignment take 40% which leaves me minus $2 every time they sell one. I think I’m like most writers who understand they’re not going to get rich off a book but a couple of bucks in my pocket would be nice. As for the vanity press costs…next time I’ll do a little more research…. Yeah, research is definitely key. And it is crazy, how little you make off a book, isn’t it? It almost makes me want to learn how to make a book myself, so I can print it, bind it, etc. — do everything myself, and the only costs would be materials! But I have a feeling that would be really expensive, lol. Sigh. I add high book prices to the list of things I wish I’d known back in May when I signed on with iUniverse, lol. But as long as silly people like me keep giving them money, whatcha gonna do? I did a blog post about this last year. Alas, I refuse to go back through a year of posts to find it, but I called it iUniverse mathematics. It didn’t make much sense. Also, they listed “Be Still,” as romance even though I corrected them several times. They finally changed it on the book cover to general fiction, however it is listed on all the websites as romance. Oh yay. I would like to share with you a dream I had last night. As you now know, I just bought a bunch of copies of my book. So in my dream, I pull them out of the box. The softcovers are fine, but the hardcovers … eek. One has the cover falling off, another has random green bars at the top of the pages, another has advertisements inserted throughout the story, another has “helpful” information, as if the book were an encyclopaedia … And then in the dream, I “woke up”, thought, “Thank God that was just a dream”, ran to see if the books were actually like that … and they were! And then I finally woke up for real.